While the ability to capture 4K video footage may make all the headlines, the Nikon 1 J5's change in focus to a more prosumer, enthusiast camera is actually the bigger story. The addition of front and rear handgrips, PASM modes on the shooting mode dial, a command dial and Function button all point to a change in direction for the J5, despite it still being a very affordable compact system camera. In many ways it out-performs the flagship V3, although that model is perhaps due for an upgrade. 4K video recording is actually something of a miss on the J5 due to the limiting 15fps frame rate. We were actually more impressed by the slow-motion and time-lapse movie options. Still, the inclusion of 4K video at least promises better things on future Nikon 1 cameras, and maybe the company's DSLRs too. The tilting LCD screen is arguably a more attractive upgrade for budding videographers, as well as making it easy to take selfies, seemingly the must-have feature for 2015. Utilising a new 20.8 megapixel sensor, the jump in megapixels from 18 to 20 thankfully hasn't made the resulting images too objectionably noisy at ISO 1600, although 20 megapixels is a little too much for the small 1-inch sensor, despite the removal of the optical low-pass filter. 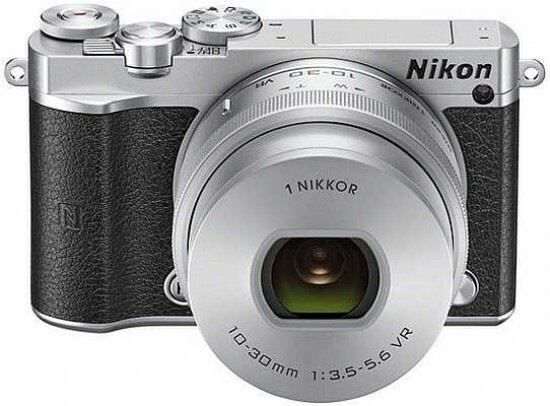 The Nikon 1 J5 continues to enjoy a much more sensible price tag for a camera with such a small sensor than its big brother, the V3, making it much more competitive with its main compact system camera rivals, which does go some way to compensating for the slightly inferior image quality between the two cameras.